Terrell Newby attempts to hurdle Indiana defensive back Rashard Fant in the first half. Bryant 5-1; TEAM 1-minus 2. 1-minus 1; Lagow 2-minus 21. 2-60; Reimers 1-17; Newby 1-1. See more footage of the catch. 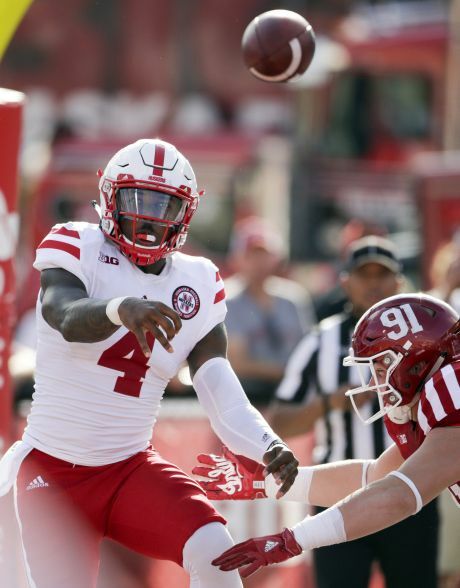 Big Plays, Blackshirts Enough for Big Red: Nebraska jumped to a 17-0 first-quarter lead, then got 10 huge points in the fourth quarter to overcome a scrappy bunch of Hoosiers. After Indiana raced 75 yards in five plays to cut Nebraska’s lead to 24-22 with 8:26 left, the Huskers mounted a 15-play, 60-yard march that consumed 7:41 and all of Indiana’s timeouts. 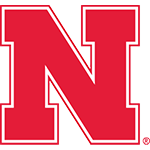 Drew Brown turned Nebraska’s tenuous two-point lead into a five-point edge with a 39-yard field goal with 45 seconds left. Tommy Armstrong gets a pass off under pressure in the first half. At the midway point of the 2016 season, Nebraska looks like the Big Ten’s new Rorschach test. There’s no one thing wrong with Indiana’s offense, and therefore no one way to fix it. This team once again showed some resiliency that we certainly didn’t see a year ago. I thought it was collectively the Huskers’ best defensive performance of the season. The fact of the matter is they found a way to win this game. It was ugly. It was beautiful. It was straight out of Iowa's 2015 playbook. Even with a mediocre pass rush, the Husker secondary is tough. There's nothing in the playbook that accounts for a team’s chemistry and deter­mination. Nebraska seems to have plenty of both, starting with its quarterback. 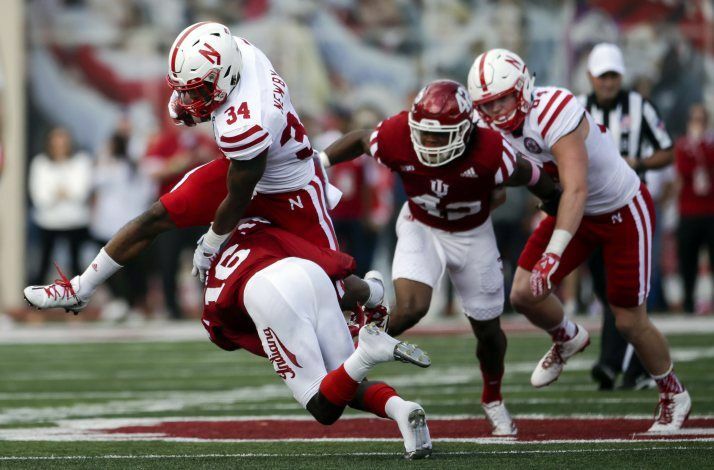 Nebraska held Indiana to 333 yards on Saturday and it did it in the most old-fashioned way possible – it tackled. Pretty, it wasn’t, but these Huskers didn’t travel to the heart of the Hoosier state to win a beauty pageant. Nebraska football needs to believe in itself again. That is happening this season.